Mobile communications giant Ericsson is holding a brand experience pitch involving a list of agencies including incumbent Jack Morton Worldwide. The process, which is being overseen by Ericsson's Stockholm-based head of experience marketing Ben De Vries, will see the winning agency briefed to create an integrated brand experience presence during next year's Mobile World Congress. This year's event took place between 27 February and 1 March in Barcelona and was organised by Jack Morton. 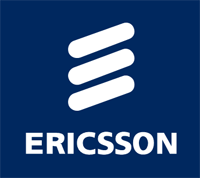 The agency has worked with Ericsson for the last five years. De Vries, confirmed that the pitch was happening and that a "handful" of agencies, some of which have merged together for the process, were involved. He added that Ericsson was very happy with Jack Morton and said he hoped to select the winning agency in May.